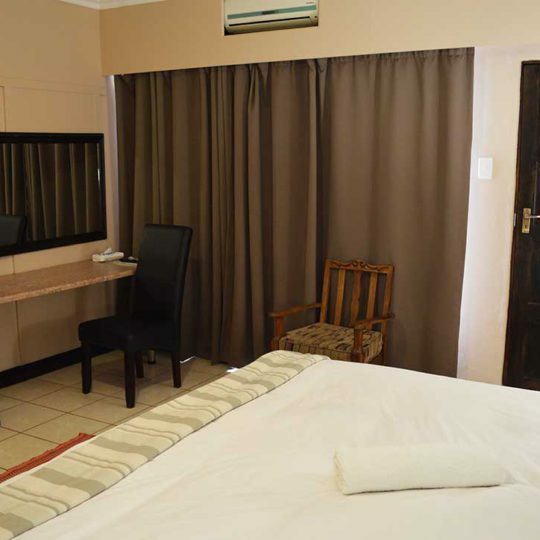 Our family rooms are spacious and equipped with a king-sized bed as well as a single bed and an en-suite bathroom. 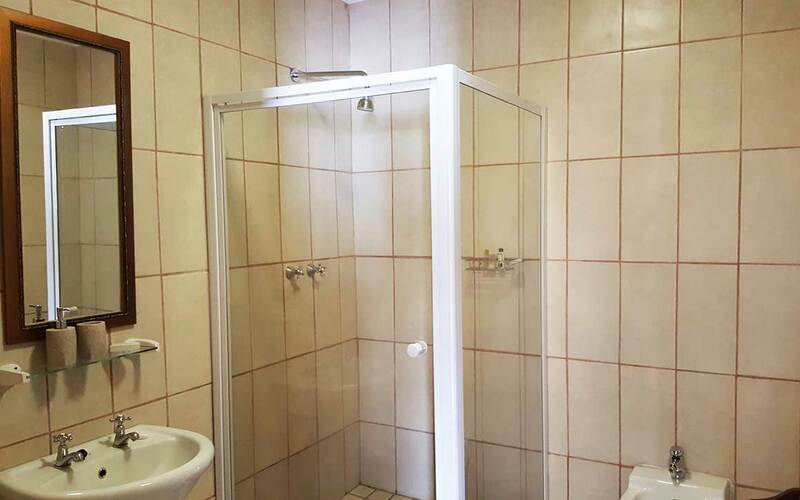 A workstation and closet space is also available for your convenience. 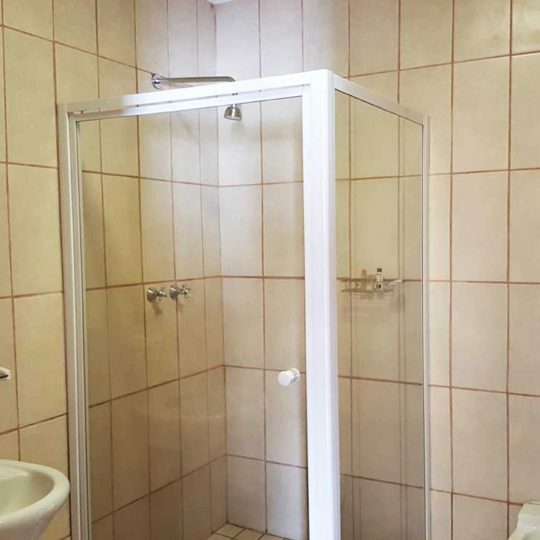 The room comes standard with all the Ballie’s Manor essential amenities. 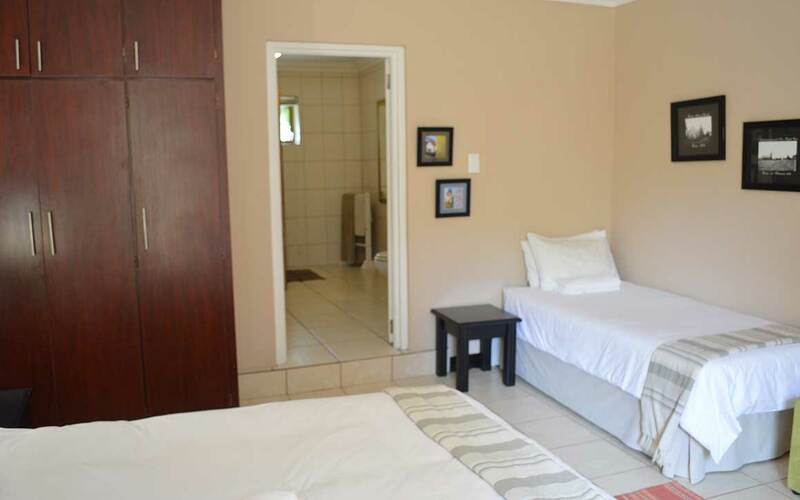 Cots for tots are available on request with these rooms. Guests will awaken to a personally prepared sumptuous breakfast in our dining room. 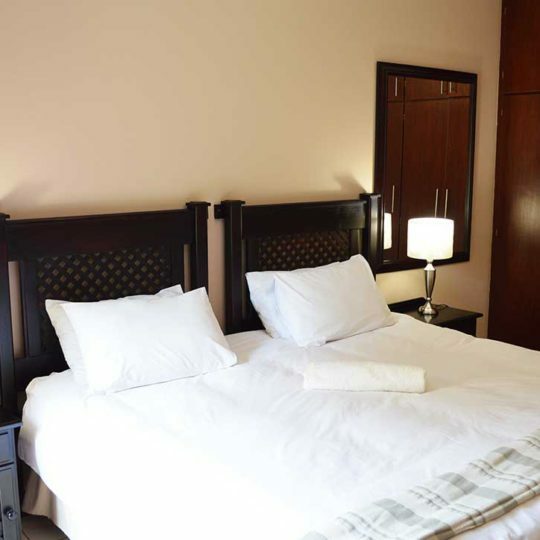 All of our rooms are en-suite and tastefully decorated with modern furniture and charm. 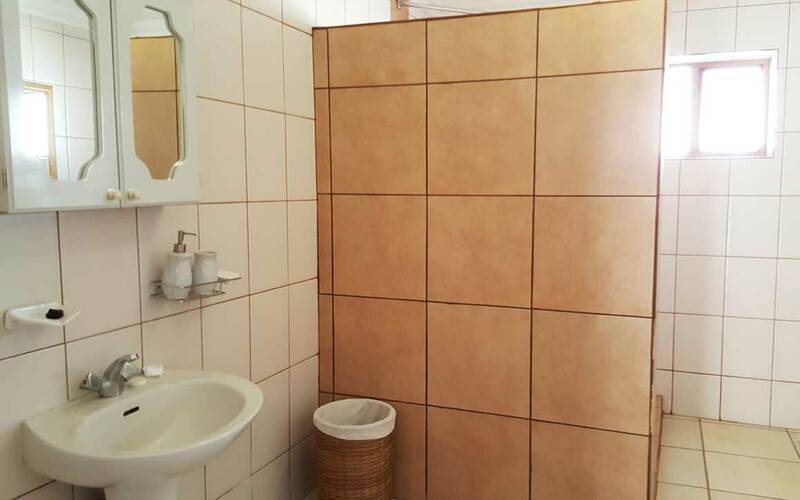 We value your privacy and therefore all rooms have private entrances. 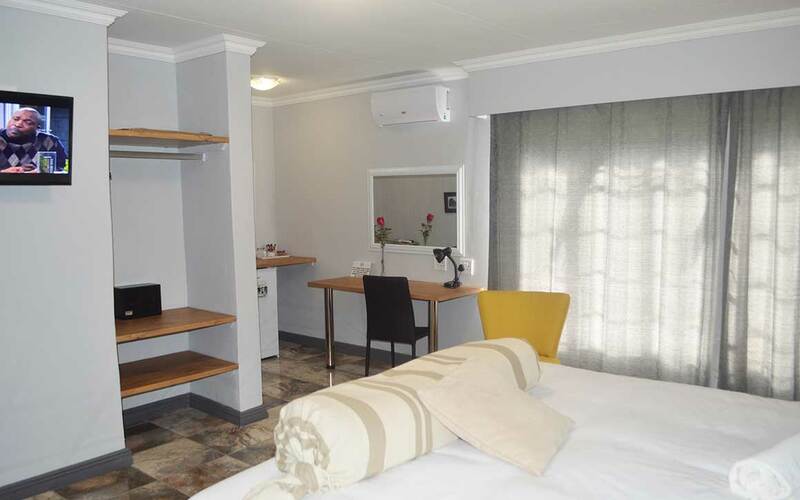 Our rooms are equipped with beverage stations, fridges, and dedicated workstations. 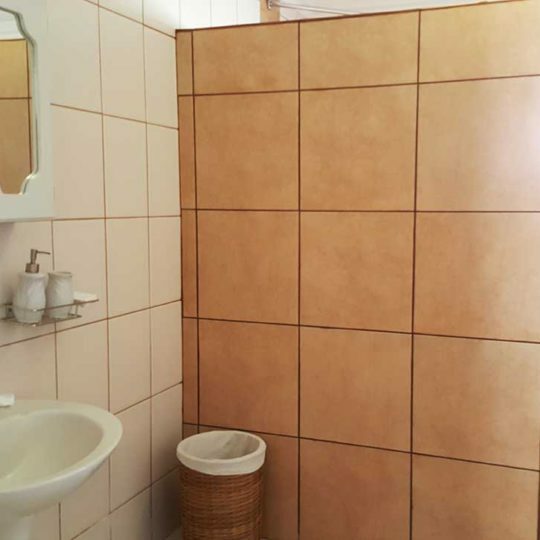 On your off time be entertained by 10 DSTV channels and feel free to connect to our Wi-Fi Hotspot.We also offer a full laundry service on request. Remember that fresh lunches and dinners can be personally prepared on request. Please notify us one day in advance if you want to take us up on this offer. We also provide banting-friendly meals and healthy alternatives. 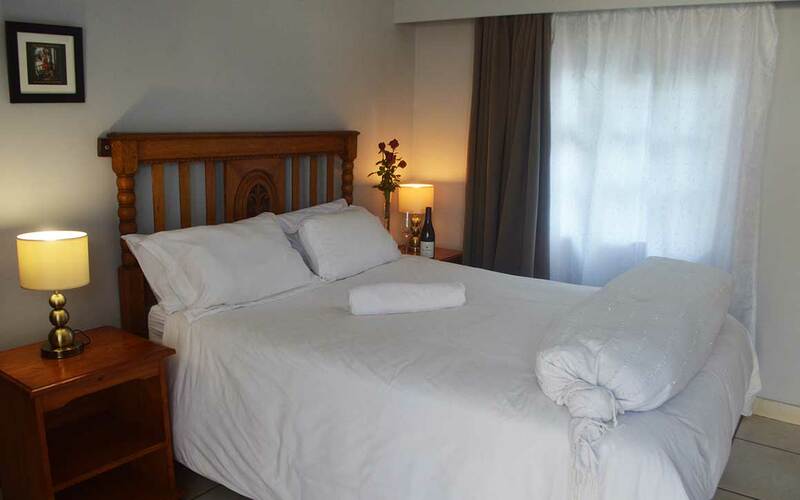 Guests are welcome to check-in at Baillie’s Manor from 14:00 pm on the arrival date. Guests should kindly check-out by 10:00 am on the date of departure. 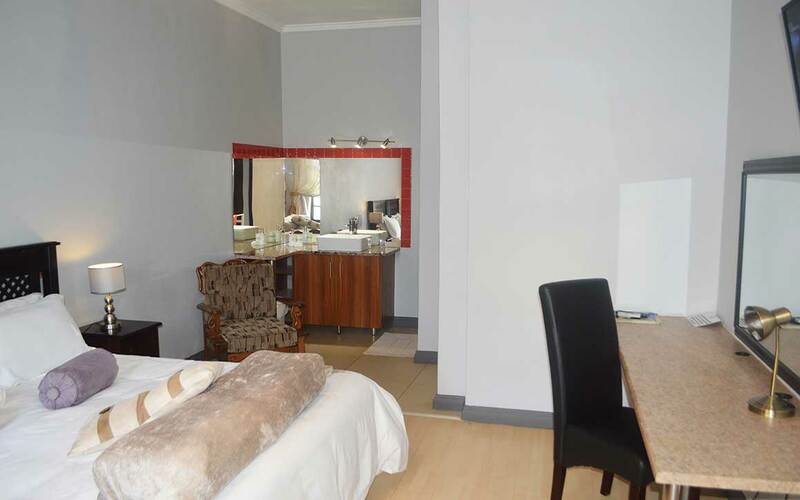 Spoil yourself and a partner by booking a deluxe double room for the ultimate breakaway. 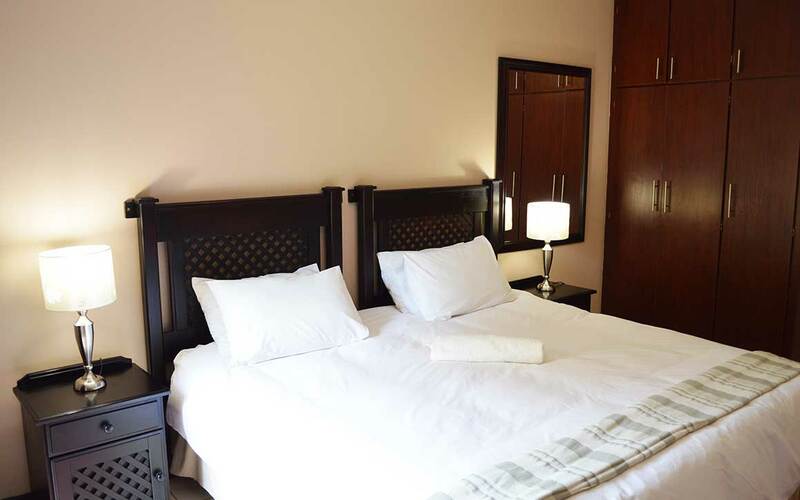 These rooms are equipped with king size beds, air-conditioning and more. Fancy a couple breakaway at a low price? 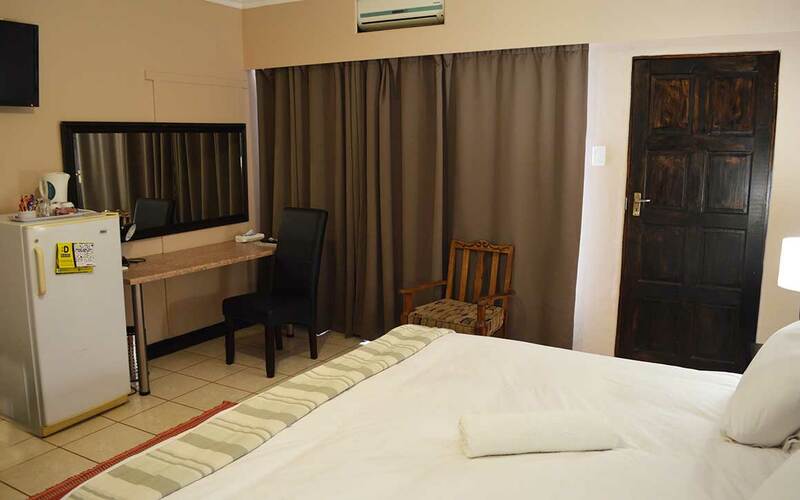 Our double rooms are equipped with a standard double bed, a workstation, closet space, and an en-suite bathroom. Maybe you prefer your partner’s cooking to our famous burgers. 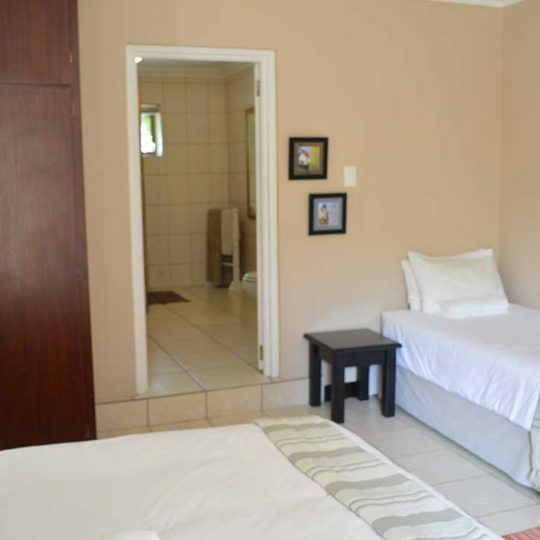 Similar to our standard rooms, these units are equipped with an added kitchenette. 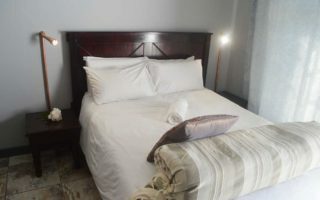 Twin Rooms at Baillie’s Manor are equipped with two single beds, workstations, closet space, and an en-suite bathroom.